Alternative rock takes a breathe of fresh air with UK based band Blood Red Shoes, who are hitting the road with the legendary Pixies and are set to headline their own dates across Europe this summer. 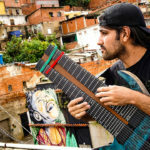 Guitarist Laura-Mary Carter and Drummer Steven Ansell once again pushed the boundaries mixing dual vocals, ripping riffs and breaking the hard fast rules of a two-piece band. After a four year break from the album cycle, Blood Red Shoes worked in L.A. to record with Nick Launay (Yeah Yeah Yeah’s/ Nick Cave/ Arcade Fire). The band later came back more assured, embracing electronics and synths on the band’s latest release Get Tragic. 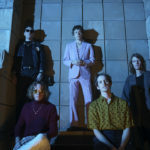 Check out the official video for their single “Mexican Dress” above. Blood Red Shoes plays Ernie Ball Skinny Top Heavy Bottoms and Extra Slinky Bass Strings. 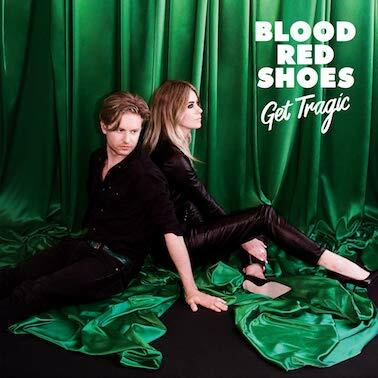 Listen to top tracks by Blood Red Shoes below and catch them on tour near you. 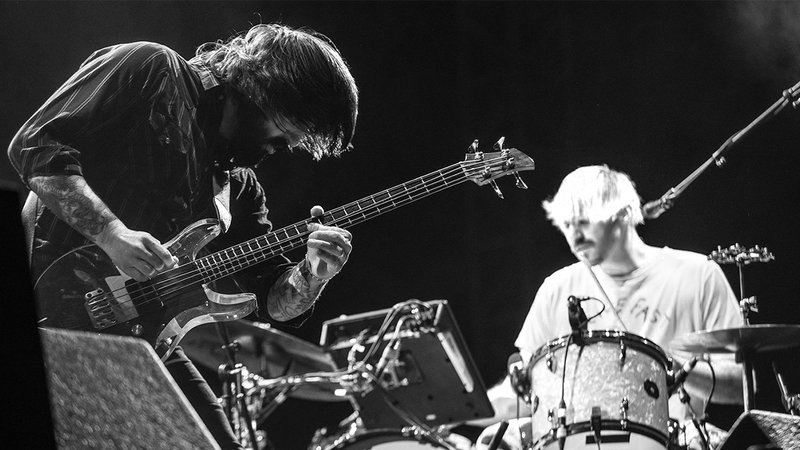 Adding “1979” to their name after a legal dispute, bassist/synth player Jesse F. Keeler and Sebastion Grainger formed Death From Above 1979. Combining fast pushing punk with hard-rock and dance influence, the band gained a name for themselves after a few released singles and touring with big acts including Queens of the Stone Age and Nine Inch Nails. After creating a racket of buzz, the group disbanded for several years to only come back to play the 2011 main stage at Coachella Music and Arts Festival. 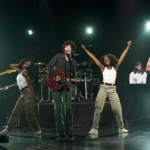 Their album Trainwreck got them on the Billboard Top 40, and in 2016 they released a Live at Third Man Records release, recorded at Jack White’s flagship. 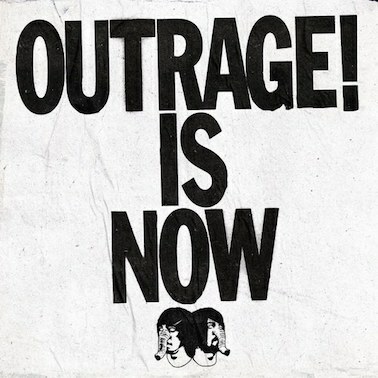 Check out the official video for Death From Above 1979’s single “Caught Up” off Outrage! Is Now. Death From Above 1979 count on Ernie Ball Regular Bass Slinky. Listen to top tracks from Death From Above 1979 below and add a song to your playlist today. Fat Wreck Chords’ own Teenage Bottlerocket is a punk band that not only puts on a high-energy live performance, but consistently maintains their fun, fast nature. Expanding to a four-piece in 2005, the band did a bit of rearranging. 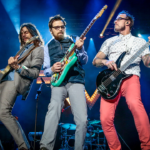 Guitarist Kody Templeman joined the group and Ray Carlisle moved from bass to guitar, leaving Miguel Chen to take over on the low end. Leaving the NOFX label for Rise Records in 2015, the band suffered a loss with the passing of drummer Brandon Carlisle after an unexpected coma. The band returned back to Fat Wreck Chords and released the album Stealing The Covers with Darren Chewka on the throne. The latest release by the band is titled Stay Rad!, debuting earlier this year. Check out the single “Everything to Me” above. Teenage Bottlerocket rip the gig with Ernie Ball Regular Slinky Guitar and Regular Slinky Bass. Miguel Chen plays an Ernie Ball Music Man StingRay Single H Bass. 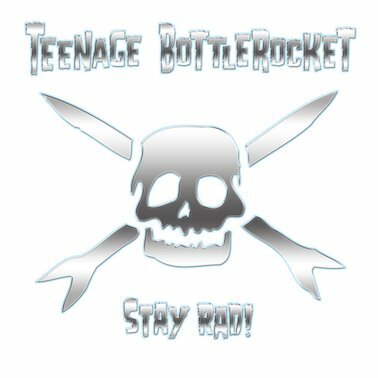 Listen to top tracks by Teenage Bottlerocket below and headbang in a parking lot. 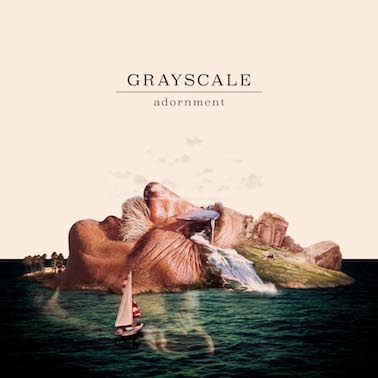 Philly based quintet Grayscale quickly emerged from the punk pop scene, sharing the stage with Knuckle Puck, Neck Deep, Cute Is What We Aim For, and working with producer Kyle Black (State Champs, Handguns, Hit The Lights) for their debut on Fearless Records titled Adornment. Honing their style with strong hooks, relatable lyrics, and catchy riffs, Grayscale continues to grow and become a force in their genre. Watch the video for the last track off Adornment titled “If I Ever See You Again” above. Grayscale count on Ernie Ball Regular Slinky, Power Slinky, Beefy Slinky, and Power Bass Slinky. Listen to top tracks by Grayscale below and share a song with a friend today. The Superhero version of myself comes out in the songs.. When I am writing or performing. I go to this place that reflects the most emotionalpoint I’ve hit at the moment. A lot of what is written is anger, lust, heartbreak, and all that. Fashion icon John Varvatos personally signed the band to his label. Recording in the garage of their Thousand Oaks, CA home the band released their EP Temper, which combines riffs like Zeppelin, theatrical deliveries with 90’s attitude and grungy style. Check out the band’s debut album titled OK, I’M SICK and watch the official music video for the track “Ghost” above. 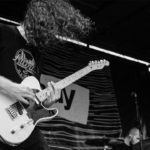 Badflower uses Ernie Ball Regular Slinky, Power Slinky, and Regular Bass Slinky. 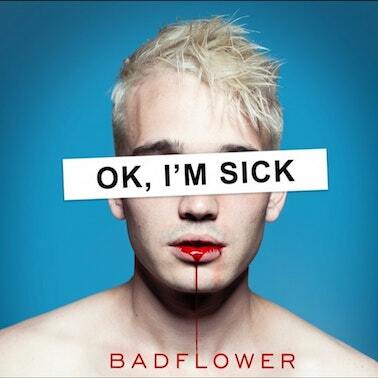 Listen to top tracks by Badflower below.